The Scenic Hotel Franz Joseph Glacier is a 3 Star/Superior hotel situated on edge of the Westland World Heritage Park in Franz Josef Village. It is a short walk to restaurants and shops. There is free parking. Rooms at the Scenic Hotel are spacious and tastefully furnished. All rooms have a modern, private bathroom and satellite TV. Some rooms have a balcony. There is a communal Jacuzzi. You can eat breakfast and dinner at the hotel’s restaurant. It serves contemporary New Zealand cuisine and quality wines. You can go for a glacier walks, helicopter ride and horseback riding. Staff can arrange local excursions. Te Waonui Forest Retreat is located in natural rainforest on New Zealand's West Coast and is only a short drive from Franz Josef Glacier. This 5-star retreat offers luxuriously furnished rooms which include organic cotton bed sheets, pillow menu and large private bathrooms. The hotel restaurant serves an international buffet breakfast where guests can have their eggs cooked to order and lunch and dinner is made using the best of fresh New Zealand produce. 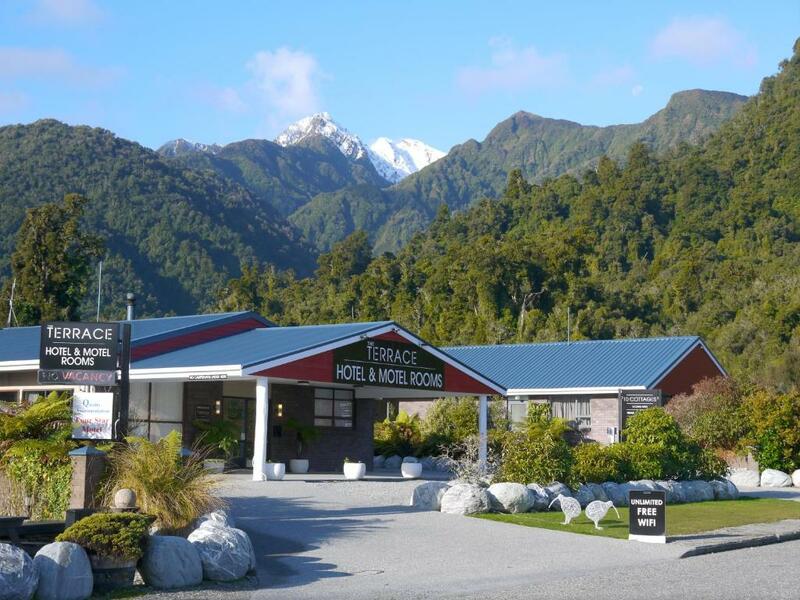 Located near Franz Josef, home of the famous Franz Josef Glacier, this B&B offers free Wi-Fi and free breakfast, 4 minutes’ drive from the Franz Josef Glacier Guides. All accommodation offers mountain or garden views, a flat-screen TV and a heated towel rail. Holly Homestead guests enjoy a shared lounge with comfortable sofas and a breakfast room offering lovely garden views. The tour desk books scenic flights and glacier hikes. Set amongst native gardens, Westwood Lodge offers stylish bed and breakfast accommodation with mountain views. Each suite has a natural timber interior and en suite bathroom with under floor heating. All suites at Westwood Lodge Accommodation include electric blankets, heating, and tea/coffee making facilities. Bathrobes and hairdryers are provided in each bathroom. The guest lounge features a bar, gas fire and large windows with views of the Southern Alps. The billiards room includes a full-size snooker table. Free Wi-Fi is available throughout the property. Continental buffet breakfast and à la carte cooked breakfasts are served in the dining room each morning. 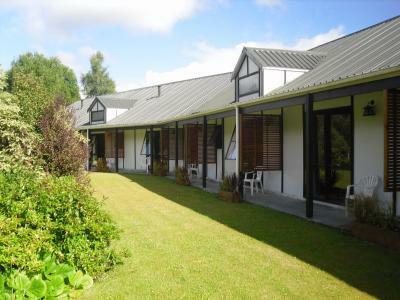 Westwood Lodge is a 15-minute walk from the centre of Franz Josef Village, in the heart of New Zealand's Glacier Country. Set on 6.5 acres of native gardens and trees, Rainforest Retreat is 50 metres from glacier hot pools. Guests enjoy a hot tub, a restaurant and a bar. All accommodation features a balcony or patio offering garden views. Franz Josef Rainforest Retreat is just 2 minutes’ walk from the town centre and 500 metres from the start of the Franz Josef Heli Hike. It is 5 minutes’ drive from Franz Josef Glacier. All accommodation offers a refrigerator, a flat-screen TV and an iPod docking station. Electric blankets and tea/coffee making facilities are provided in all accommodation. Some also include a fully equipped kitchen. Guests can enjoy massages and treatments on site or just relax in the sauna. Share a pre-dinner drink on the patio or beside the fireplace in the bar. Monsoon Restaurant offers international cuisine, while the bar serves a range of fine wine and beer. Set against a backdrop of rainforest and mountain, YHA Franz Josef Glacier features a fully equipped shared kitchen and a guest lounge with satellite TV. Facilities include a pool table, BBQ area and a sauna. The guest lounge room features a flat-screen TV and DVD player with DVDs. The open-plan lounge/dining room includes a piano and open fireplace. Bike storage and a laundry/drying room are also available. YHA Franz Josef Glacier offers backpacker accommodation with a choice of dorm, shared or private rooms. All rooms are heated and some room having an ensuite bathroom. Featuring views of the surrounding mountains, Alpine Glacier Motel offers spacious units with satellite TV, modern bathrooms, heating and electric blankets. Guests can relax in the motel’s hot tub. Franz Josef Alpine Glacier Motel is a 10-minute drive from Franz Josef Glacier and a 5-minute walk from Franz Josef town center. Lake Mapourika is a 5-minute drive away. All accommodations have a refrigerator, microwave, coffee plunger, kitchenware and toaster. Each has a sitting area with sofa, DVD player and ironing facilities. Free 50MB of Wi-Fi access is included. Many units have a relaxing spa tub and spectacular mountain and glacier views. Facilities include a tour desk, shared laundry facilities, and parking right outside your unit. 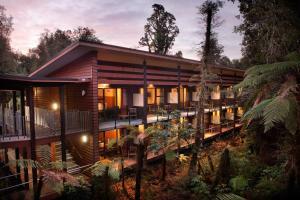 In native forest, Punga Grove offers stylish accommodations in the heart of Franz Josef Glacier village. All apartments include a fully equipped kitchen, satellite TV and free Wi-Fi. Surrounded by stunning high alpine peaks, Punga Grove is a 2-minute walk to shops, cafes, bars and local tour operators. 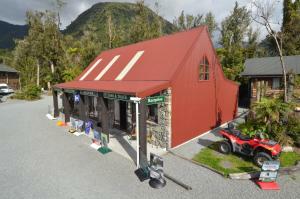 It is a 10-minute drive from the parking lot for access to the Franz Josef Glacier. Guests have access to laundry facilities and a gas barbecue. Some studios and apartments feature a luxury spa bathtub, gas log fire, underfloor heating and leather sofas. Continental breakfast can be delivered to the rooms each morning. Free parking is included and all rooms are serviced daily. The Terrace Motel is equipped with modern accommodations, satellite TV and free parking, is located in the Franz Josef Village. It is a short walk away from the National Park. Terrace Motel has spacious rooms set in a simplistic décor, each equipped with heating, a private bathroom with amenities and tea and coffee making facilities. The motel also offers guest laundry facilities. 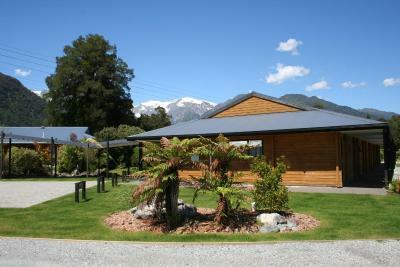 The Terrace Motel is a short drive away from Lake Mapourika and Franz Josef Glacier. 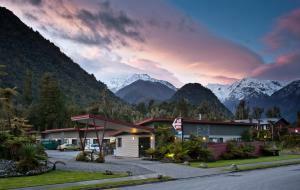 Featuring stunning views of the surrounding forests, Glacier Gateway Motel is located close to the Franz Josef Glacier. Wi-Fi internet access is available. Offering modern accommodations at affordable rates, each smoke-free room is also equipped with central heating. Family cottages are also available. The Glacier Gateway Motel also provides a children’s playground set among lush greenery. 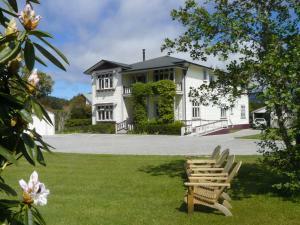 The motel is within driving distance of the stores and restaurants of central Franz Josef. It is a short drive from the Westland National Park. 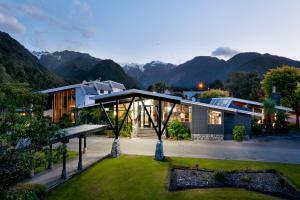 Bella Vista Motel offers modern rooms in the heart of the peaceful Franz Josef Glacier Village. There are barbecue facilities for casual open-air dining. On-site parking is free. Rooms at the Bella Vista feature tea and coffee making facilities, satellite TV and heating. Many rooms have self-catering kitchenettes, while some offer stunning views of the surrounding Glaciers. Bella Vista Motel Franz Josef is situated within a 10 minute walk of restaurants, shops and cafes. The Glacier Wilderness Centre and Glacier Hot Pools are also within walking distance of the motel. Glacier View Motel offers self-catering accommodation with rainforest, glacier and mountain views. Each room includes a kitchenette with microwave, refrigerator and tea/coffee making facilities. Situated 2 km from Franz Josef village centre, Motel Glacier View is located in the World Heritage-listed South Westland National Park. The tour desk can arrange visits to the Franz Josef Glacier. All rooms include a TV, heating and a private bathroom with hairdryer. Free undercover parking is provided. Guest laundry facilities are available. Glacier View Motel is approximately 15 minutes walk from local restaurants. Continental breakfast can be arranged and barbecue facilities are on offer. 58 On Cron is in the rainforest, 5 minutes from Franz Josef town center. The glacier is a 10-minute drive away. The motel offers self-catering accommodations, which is serviced daily. Guests have a choice of studio units or spacious 1 and 2-bedroom apartments. All units provide good kitchen facilities and a dining area. Some feature a spa bath. There is a spacious yard with picnic furniture and BBQ facilities. Parking is free. Wi-Fi is available.